On November 17th, Asterisk Realty hosted an informative seminar on the growing demand for global diversification by addressing the current market positions and forecasts in U.S real estate investment. Doug Kinney from Bentall Kennedy was invited to speak on Oliver Reichel from PwC spoke on U.S Real Estate taxation. 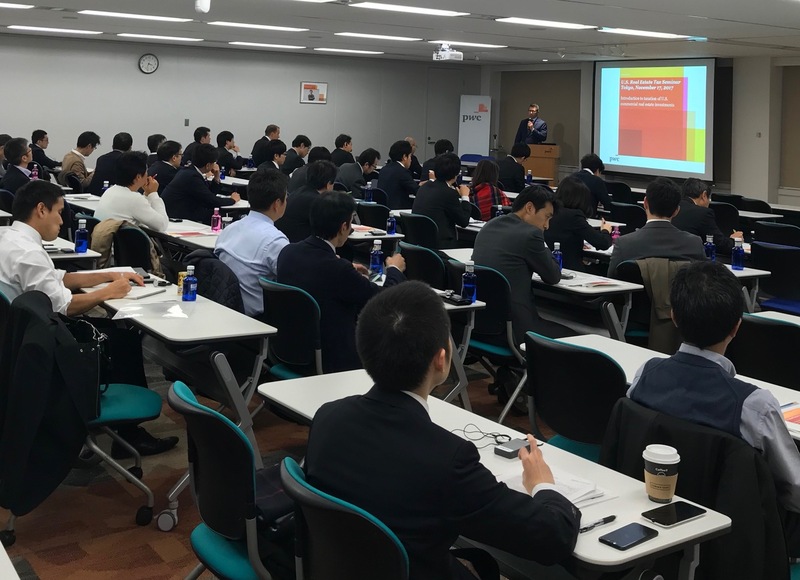 The seminar held in the PwC Tokyo seminar hall, fully reserved by over 60 Japanese institutional investors from public pensions, insurance companies, financial institutions, asset managements, etc. Following GPIF’s and World Bank Group’s announcement in October to form a partnership to conduct joint research on the integration of ESG into fixed income portfolios, other investors- namely public pensions and insurance related entities have been looking into the topic. GPIF has been emphasising the importance of ESG conscious investments. GPIF has also strongly mentioned importance of ESG in their alternative investments, when they announced the start of RFP for alternative assets including real estate in April 2017. During Doug Kinney’s presentation, he gave an outlook for the US economy and the real estate market trends. A notable trend in the market at the moment is ESG investment, which Bentall Kennedy has had a longstanding commitment to. For Japanese investors serious about investing in the US, a better understanding on the taxation of US real estate is necessary. Oliver Reichel was able to discuss in depth on structuring for taxations, in particular for Japanese investors and pension funds. While Japanese institutional investors are starting overseas real estate investment due to strong necessity for their asset diversification, some of them are cautious of their entry timing to overseas market for a later stage of market cycles. Long term strategies along with key macro topics and concepts (urbanization, e-commerce, technology, demographic change, working and living style) including ESG, are very important for overseas fund managers to show the rationales of global real estate investment for Japanese investors. Asterisk is in the process to create global ESG real estate investment solution for Japanese institutional investors, and Europe / Australia are the markets we plan to cover for our next event. By partnering with a local player, fund managers can better understand the topic trends in the market, as well as arrange for platforms to present case studies of these types of investments. Asterisk can offer strategic solutions based on your fund strengths, and introduce you to the Japan market. We offer tailored opportunities for global diversified ESG Real Estate for Japanese institutional investors.